Globalization has finally and really arrived: the Wall Street implosion with the 2006/15 subprime crisis and the global banking and government frauds to rescue banks had and still have the potential to generate a fiscal crisis whose outcome could be the beginning of a high inflation period in the first world or worse: a global hyperinflation like in Hitler's Germany. 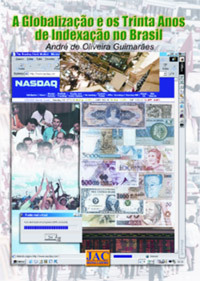 The book "Globalization and thirty years of indexing in Brazil" of André de Oliveira Guimarães, JAC - Graphic & publisher, São José dos Campos, SP, Brazil, published in 2000, is a historic, political, legal, economic, financial and sociological SCRIPT on inflation in Brazil. In 319 pages, the author tells how the "indexing" or "monetary correction" or "monetary update" perpetuated inflation which might cause hyperinflation in the 80s and 90s. A "restatement" or "indexing" or "monetary correction" or "monetary update" established in 1964 and extinct thirty years later, in 1994, with the Real Plan, it was the financial instrument that - along with the military dictatorship - has destroyed the state and society, producing the CHAOS of the current days, that adds itself to globalization, producing an even greater CHAOS whose result is the ruin of civilization. Socialism / Communism failed in the twentieth century and now in the XXI century is the capitalism / neoliberalism the system about to collapse, showing that political corruption is basically the big cancer of any system that be adopted. With the implosion of capitalism, communism won again space, being a flag used by swindlers everywhere to deploy dictatorships, path taken by Brazil since 2003, when it began the catastrophic Lula's age. 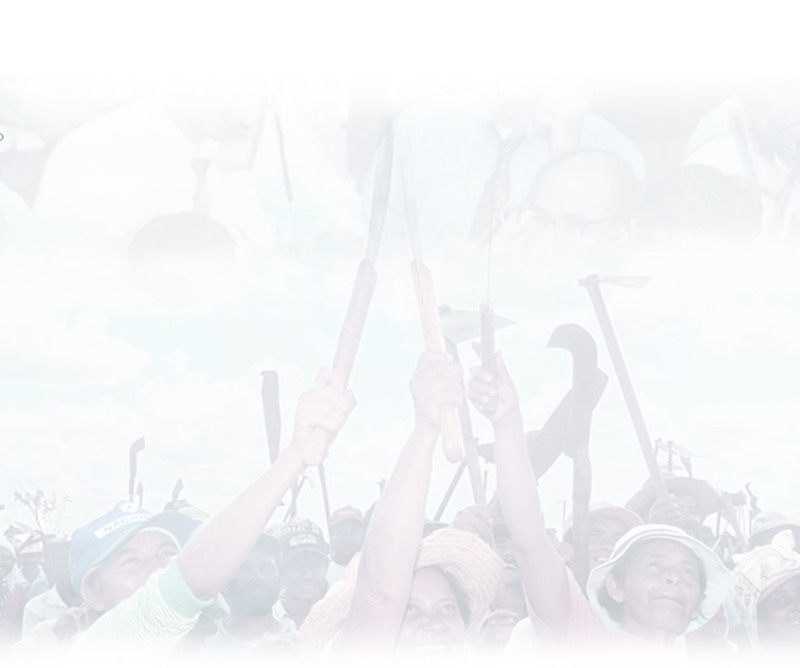 The great economic progress in Brazil, an emerging country, occurred from 1994, dissipated because of the state's agony, corrupted in all its spheres and powers since ever, and of the enormous pressures imposed on the states by the exponentially growing social exclusion generated by globalization. Democracy hard won back in 1988 after 21 years of military dictatorship (1964-1985) was extinguished again by the brutal dictatorship of corruption that came to take shape from 2003, when started the current civil dictatorship, the Lula's age. Four economic / political processes overlap: thirty years of indexing and inflation (1964-1994), globalization (since 1990), the civil dictatorship begun in 2003 in Brazil and now, since 2006, a financial crisis generated by United States that at least took the time to anticipate a decade in a matter of months, exponentially catalyzing globalization, which was already a process of acceleration of historical events. Three scenarios existed for the US since 2008: 1) experience a currency overshooting as happened in Brazil 1999, with the dollar stabilizing at new level, leaving the Americans a little poorer; 2) experience the previous setting and then the beginning of a "inertial inflation" as in Brazil the late 70s and early 80s, becoming the newest "banana republic"; 3) experience, from night to day, a German hyperinflation as the '20s with the public security holders disposing of their positions "in a herd effect" similar to the stock exchanges and fleeing to gold and other real assets. Scenario 1 is what happened from 2008 to 2015, with the dollar has depreciated too. The collapse of the global financial system has not happened, has been continually postponed, delayed. What the Fed did since 2008 with the "quantitative easing", the money printting, was it: a controlled inflation, generalized inflation of financial assets to compensate in "real terms" the deflation in "nominal terms" in the price of real estate assets, doing the losses of value in "real terms" reduce themselves. To compensate the deflation in real estate assets, the Fed created inflation in all others assets. But with it, the Fed also produced losses in the value of the credits to receive that the banks had, for these also had fixed value in nominal terms. So, to compensate losses in real estate business, the Fed created losses in several others segments, including the increase in the public debt made by government that was funded by the Fed printting money, what was the cause of inflation, trillions of dollars, what caused losses for the holders of the treasuries. In initial moments of the inflationary bubbles, several distortions are caused and usually the wanted result for government only occur after much inflation. The "quantitative easing" made by Fed only got do the situation stay "them by them", in other words, nothing changed. To solve all problems now, it will be necessary even more inflation, much more. But it's impossible, for it would cause a flight to gold with the public debt holders still remaining abandoning the treasuries from night to day, causing a default on this obligations that would carry to hyperinflation, because the Fed would have to print money to buy public debt at an exponential rate, causing a vicious cycle. That's the truth about the real situation of US that doesn't is shown in the mainstream media, whether in the US, whether in any place. Are few people who speak about this, people like Marc Faber, Peter Schiff, Johm Williams, Michael Pento, Gerald Celente, ... This reality was lived in Brazil for years. One year of inflation is almost a lost decade. In US already are seven years lost with a controlled inflation, something that didn't solve the main matter: the solvency of the system, that includes now the public sector. If weren't the money printting, the default already would have happened. The QE didn't produce a recovery, did to avoid a collapse, the dollar collapse, because government hadn't enough revenue to rescue financial institutions, the bail-outs. And Marc Faber, for instance, says, that Fed won't rise interest rates, for if it do it, the government knock in: with 10% of average interest rate over the debt, there is more than 50% of the annual federal tax revenue of spent only with interest. It's also for this that there is no rise in interest rates, for not knock in the nation. An apocalypse. And even there is the matter of derivatives, the leverage, another apocalypse apart. An endless nightmare, an affair as we like, a novel much better than that ones of the TV. This paragraph exists only in this English version of this page. the seventh discusses various legal, political, economic and sociological problems produced by thirty years of "indexing". 3) a crisis sponsored by the US government in order to produce a world chaos due to unknown military objectives unknown by the public to be implemented in the medium term, something so grand as a highly catastrophic astronomical event. The main countries under economic collapse threat is the United States and England, then came the collapse of the euro, making a worthy biblical apocalyptic collapse: all major currencies would become dust. The financial crisis of 2006/2015 if have all the possible developments may cause the 1929 crisis and the depression of the 30s seem something quite soft, something like a "walk in the park". On the Internet and in TV swarming forecasts. The most notable are those of people like Jim Rogers (former partner of investor George Soros), Marc Faber (Swiss journalist with PHD in economics), Peter Schiff (investment company executive and economical congressional aide of Ron Paul [former candidate US presidential]), Nouriel Roubini (professor of economics at New York and creator of RGE Monitor, economic advisory company web site), John Williams (shadowstats.com economist) and Gerald Celente (Trends Research institute researcher ). For many other analysts nothing more will happen. The crisis has served to show that any prediction became useless, because the volatility of all factors became stupid. The crisis has shown how ridiculous are the economic forecasts accurate to within tenths of a percentage point and how much there is of lie in the financial markets, in auditing and risk rating companies and also governments. In Brazil, very few works that deal with inflation already start early with derivatives and integrals to explain why the price of bread rose by 5% and why it is 4.76% loss in purchasing power. In our book there is no derivatives, nor abstract macroeconomic data, just what happened in people's pockets, the phenomenon itself, which was nothing more than pure government slutty, it was a reality caused on purpose by the government. Few other works dealing with the subject at a level a little closer to reality are grotesque plagiarism of the book here made available and who did not get to the nitty-gritty. In this work there are not derivatives, integrals and econometric models. The story is just what happened to the people's pockets over time, how and how much each one won or lost and how was the indexation mechanism, which is what matters for those who did not live under hyperinflation. At the time, in 2000, many people praised the work were still innocent and has not been accused of anything before. Almost all praised were reported, prosecuted and even imprisoned, while others have not addressed seriously and shamefully against the current crisis as Fernando Henrique Cardoso. This book made available here in PDF format (click the link below to open a new window with the book already open and click the icon to save your copy with the name you want and in the folder you want). The book is not political work, is not communist, is not apocalyptic religious book. It is a work produced by a person who was 30 years old in 2000 and lived in the time of hyperinflation in Brazil in the 80s and 90s. Made by who lived the history. Economic stability is like health, while have itself, don't give itself worth, only know itself when lose it. And once time lost, it's hard to recover. The author, ANDRÉ DE OLIVEIRA GUIMARÃES, holds a Bachelor of Law formed by UNITAU, University of Taubaté, SP, in 1998, and is a mechanical technician trained by ETEP, Technical School Everardo Passos, São José dos Campos, Brazil, in 1988. He studied another year of mechanical engineering. 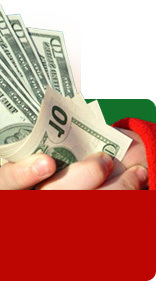 Training in the legal field and the exact area was what facilitated the realization of this fair work. His experience in the commercial representation branch in hyperinflation time when monthly inflation was above 30% (which acquainted more than 2,200% in the year) in 1992 was what led him to initially prepare a manual of coexistence with hyperinflation, one "witchcraft manual" to "advance fixing future currency values", because at that time the general thought was that inflation would not end, it was a situation that had lasted for decades. Were nearly 20 years of economic stability, from 1994 to 2014, being again the Brazilian economy ruined by the return of inertial inflation, a disaster that was "counted bean" since the start of Lula's Age in 2003, an Age of civil dictatorship, incompetence and corruption. All progress since 1994 onwards with the economic predictability that made possible the low interest rates and the gradual increase in financing terms went downhill from Dilma Rousseff governent, returning Brazil to the 1993 hell with the country definitely missing the train of history and now relegated to their fate: being a banana banana republic of South America. The DOWNLOAD of the book is FREE, and your copy for personal use or printing for personal use is AUTHORIZED. The excerpt citation in other works freely available is AUTHORIZED SINCE CITED THE SOURCE (this site) and AUTHOR (André de Oliveira Guimarães). The book can be consulted by simple curiosity or be used as a research resource for multidisciplinary university research as well as for historical or legal-chronological research. Already there is a version in English (about only the 319 pages of the book of 2000), but it only will be available when the next book (about suprime crisis of 2008 in US) be finished. It has more than 600 pages (in Portuguese), including the US crisis. The next book will have more than 5000 pages, including US crisis, the book of 2000 translated to English and the affair "Freemasonry irregularity" that is the nitty-gritty behind US crisis and also what was behind the Nazism and, such as now, almost destroyed the World by different ways, before the weapons, now the money printting. This paragraph exists only in this English version of this page. In the presentation "Mirror, mirror on the wall, who is the next AIG to fall?" on January 2010 in which the deal was the US crisis of 2008, Marc Faber, economist and publisher of the "The Gloom, Boom and Doom Report", spoke about how to survive during hyperinflation, how is the life in this situation. It was nothing more, nothing less than what was spoken in our book, what happens with the financial assets. Inflation doesn't is a phenomenon at random, it is desired by governments, governments wants it. And all will do to hold it at a interesting level, nor little, nor exponentially uncontrollable, for in the first case doesn't serve to produce phase displacement in real terms for expenses and in the second doesn't enable the scheme of fraude with the creditors, for become impossible the situation continue indefinitely. The danger is a situation like the one of US: money printting to avoid default and it becomes exponential, carrying to so high hyperinflation that the money would become dust whitin hours. In banana republics always there is something to serve as monetary standard to solve in future the situation with other currency, what doesn't occur with the dollar, it already is the standard, the international standard, and now without the gold standard. If it ended, the global standard ends. It's because of it the gold reached almost US$ 2,000 an ounce. But in a situation like this, whithin hours the value of gold could doesn't fit in the calculator display. The CHAOS is so great that the people doesn't want believe that could happen, nor the government. And it's because nobody believes that the government gets postpone indefinitely the problem. And there is more: the real problem only will happen in the next term of office, when who has to behave now won't be there more. The bomb stays for the next president. This paragraph exists only in this English version of this page.